4 November 1962: A Western Electric M6 Nike Hercules air-defense guided missile was launched from Johnston Island in the North Pacific Ocean. The missile was armed with a W-31 Mod 1 nuclear warhead, and had been modified to include a command arm/fire capability, and an automatic disarm feature. At an altitude of 69,000 feet (21,031 meters), 2 miles (3.2 kilometers) south-southwest of the island, the warhead detonated with an explosive yield of 12 kilotons. This nuclear weapon effects test, Dominic Tightrope, was the final test of the Operation Dominic I test series, and was the last atmospheric nuclear test conducted by the United States. The Nike Hercules was a long-range, high-altitude surface-to-air guided missile, designed and produced by Western Electric Company and the Douglas Aircraft Company. 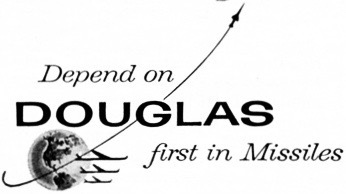 Douglas manufactured the missile at Charlotte, North Carolina. It was a two-stage missile with a cluster of four Hercules Powder Company M5E1 solid-fuel rocket engines as the boost stage. 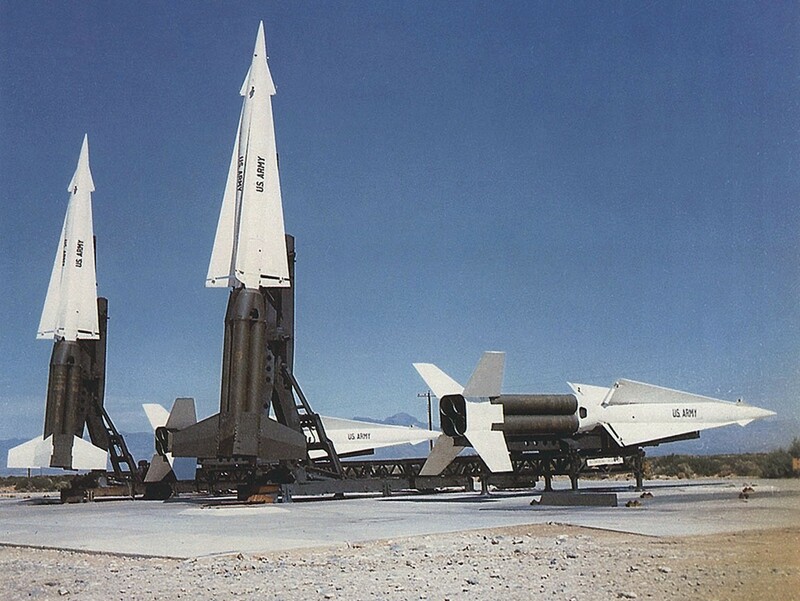 The Nike Hercules had an overall length of 41 feet, 1.35 inches (12.531 meters). Its weight was 10,710 pounds (4,858 kilograms). 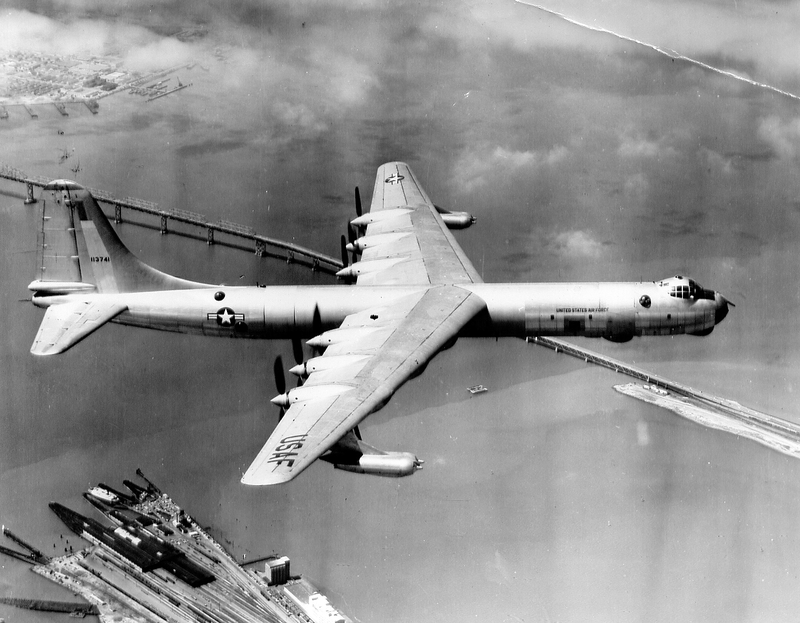 The Hercules could reach an altitude of 100,000 feet (30,480 meters) and had a range of 90 miles (145 kilometers). The missile’s maximum speed was Mach 3.65. The booster stage was 14 feet, 2.845 inches (4.339 meters) long and had a maximum diameter of 3 feet, 7.25 inches (1.099 meters). There were four stabilizing fins spaced at 90°. The fin span was 11 feet, 5.88 inches (3.502 meters). The leading edges were swept aft 24.23°. The booster stage produced 173,600 pounds of thrust (772.211 kilonewtons) and burned for 3.4 seconds. The second stage was 26 feet, 10.500 inches (8.192 meters) long with a maximum diameter of 2 feet, 7.50 inches (0.800 meters). It had four triangular wings and four small “linealizer” fins, which were also spaced 90°. The maximum wing span was 7 feet, 4.00 inches (2.235 meters). 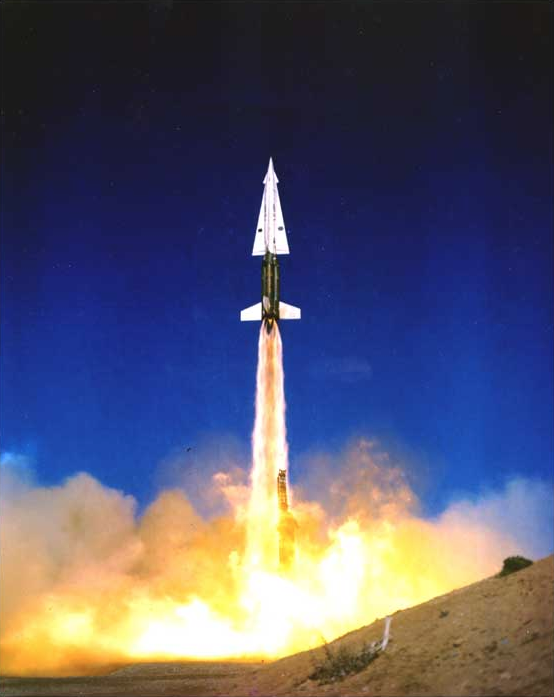 The missile was powered by a Thiokol Chemical Corporation M30 solid-fuel rocket engine which produced 13,750 pounds of thrust (61.163 kilonewtons) and had a burn time of 29 seconds. The Nike air defense missile system used multiple radars to track incoming target aircraft and the outgoing missile. Computer systems analyzed the data and signals were sent to guide the missile toward the target. This was a complex system and multiple missiles were based together at missile sites around the defended area. The Hercules could be armed with either a M17 high explosive fragmentation warhead or a 20–40 kiloton W-31 nuclear warhead. Although designed to attack jet aircraft, the Nike Hercules also successfully intercepted guided and ballistic missiles, and had a surface-to-surface capability. 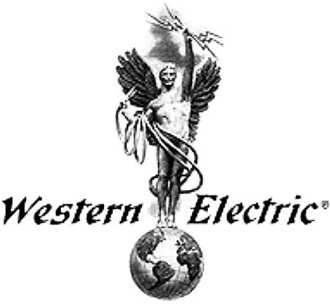 The Western Electric SAM-A-25 Nike B was renamed Nike Hercules in 1956 while still in development. It was redesignated Guided Missile, Air Defense M6 in 1958, and MIM-14 in 1963. (“MIM” is Department of Defense terminology for a mobile, ground-launched interceptor missile.) About 25,000 Nike Hercules missiles were built. 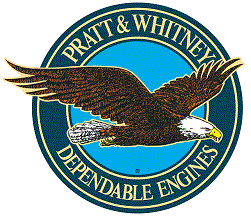 Initially deployed in 1958, it remained in service with the U.S. Army until 1984. The W-31 was a boosted fission implosion warhead designed by the Los Alamos Scientific Laboratory. 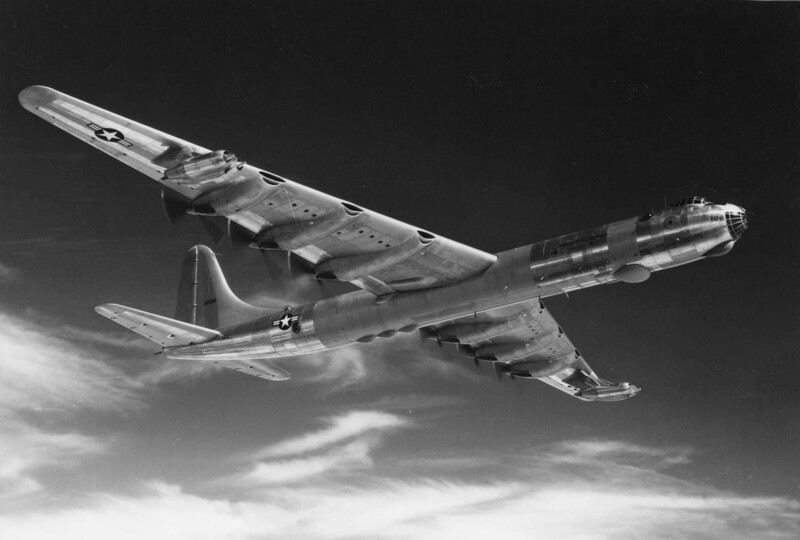 It weighed 900 pounds (408 kilograms) and had a selectable yield of from 2 to 40 kilotons. About 2,550 warheads were produced and remained in service until 1989. During 1957, a series of 29 nuclear weapons tests were carried out at the United States’ Nevada Test Site, 65 miles (105 kilometers) northwest of Las Vegas, Nevada, under Project Plumbbob. Shot John was the first and only firing of a live, nuclear-armed, air-to-air anti-aircraft missile. 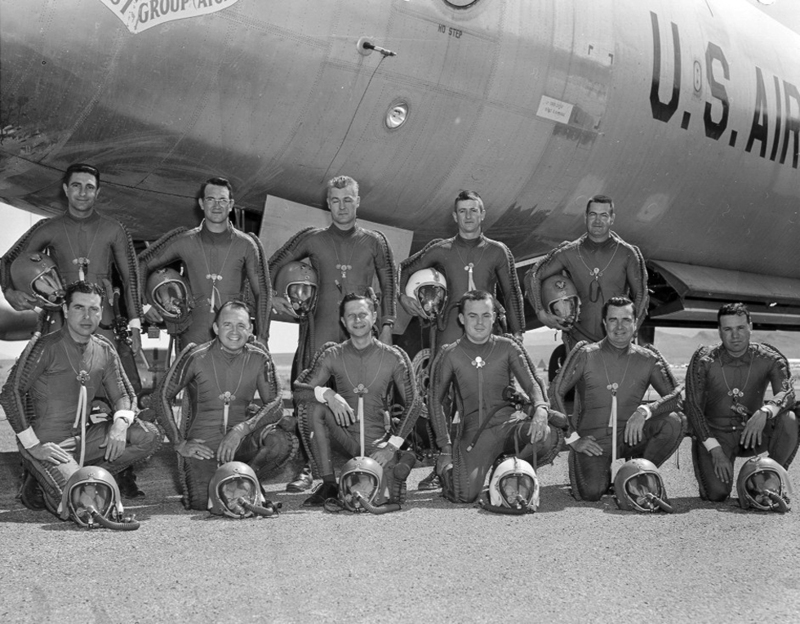 On Friday morning, 19 July 1957, a United States Air Force Northrop F-89J Scorpion interceptor, serial number 53-2547, flown by Captain Eric W. Hutchison, Pilot, and Captain Alfred C. Barbee, Radar Intercept Officer, launched a Genie MB-1 unguided rocket at an altitude of 18,500 feet (5,640 meters) over NTS Area 10. The rocket accelerated to Mach 3 and traveled 2.6 miles (4,250 meters) in 4.5 seconds when, at 07:00:04.6 a.m., Pacific Daylight Savings Time (14:00 UTC), its W-25 warhead was detonated by a signal from a ground station. The resulting explosive yield was 1.7 kilotons. The Northrop Corporation F-89J Scorpion was a two-place, twin-engine, sub-sonic all-weather interceptor. 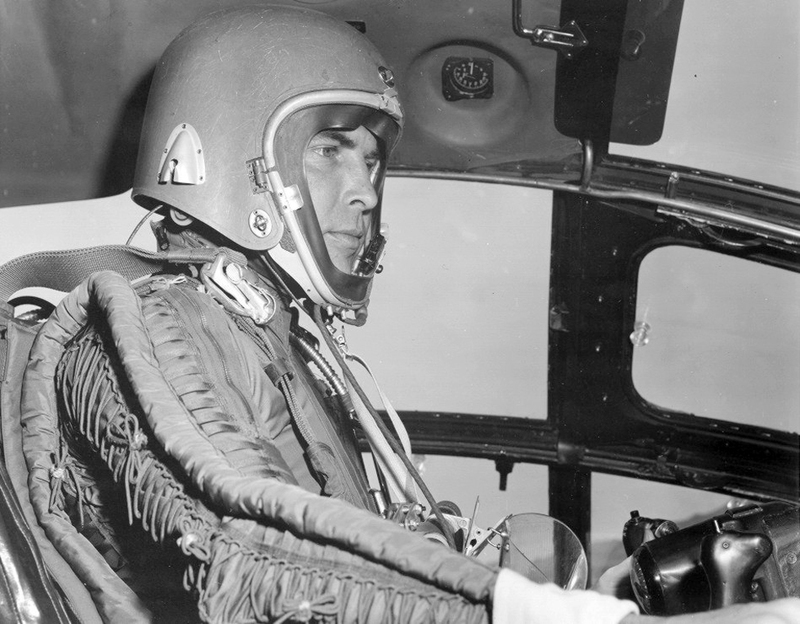 It was flown by a pilot and radar intercept officer in a tandem cockpit. It had a straight wing at mid-fuselage and a “T” tail horizontal stabilizer. Earlier variants of the Scorpion were armed with machine guns and rockets, but the F-89J carried only rockets and guided missiles. F-89J 53-2547 was built as an F-89D-60-NO Scorpion, and was one of 350 D-models which were upgraded to the F-89J standard. 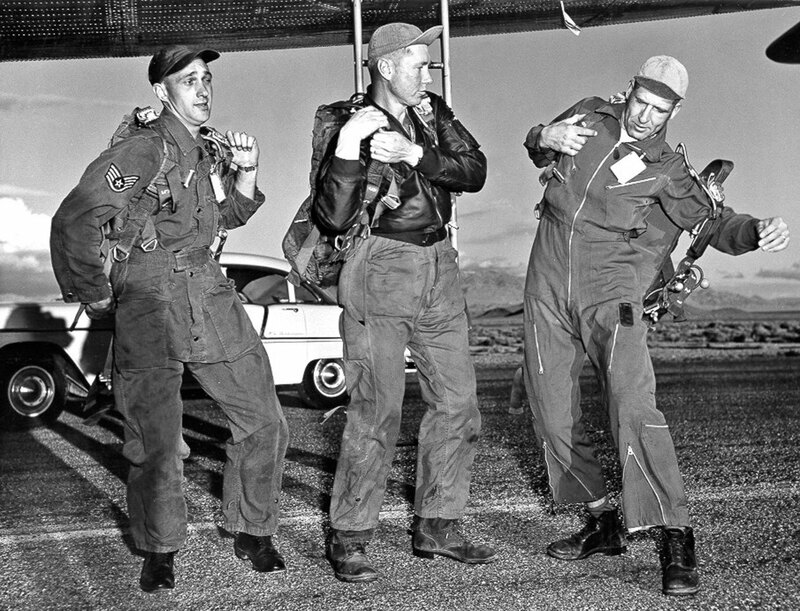 It was a missile-armed all-weather interceptor with a two man crew assigned to the Air Defense Command. The Northrop F-89J Scorpion was 53 feet, 8.4 inches long (16.368 meters) with a wingspan of 59 feet, 9.6 inches (18.227 meters) and overall height of 17 feet, 6 inches (5.334 meters). 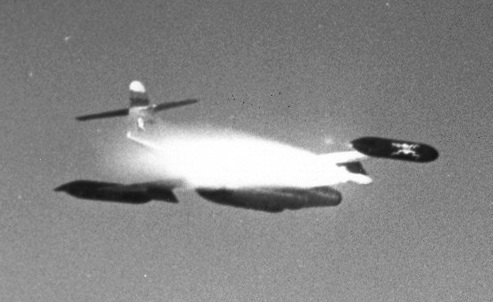 The leading edge of the interceptor’s wings were swept aft 5° 8′. The angle of incidence was 1° 30′, with no twist, and 1° 0′ dihedral. The total wing area was 606 square feet (56.30 square meters). The F-89J had an empty weight of 26,883 pounds (12,194 kilograms) and maximum takeoff weight of 47,719 pounds (21,645 kilograms). The F-89J Scorpion was powered by two General Electric-designed, Allison Engine Company-built, J35-A-35 engines. 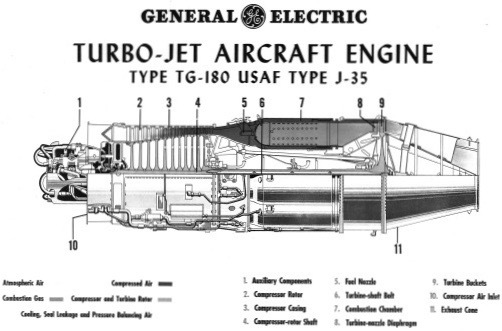 The J35 was a single-spool, axial-flow turbojet engine with an 11-stage compressor section and single-stage turbine. The J35-A-33 had a Normal (continuous) power rating of 4,855 pounds of thrust (21.596 kilonewtons) at 7,400 r.p.m. The Military Power rating was 5,440 pounds (24.198 kilonewtons) at 8,000 r.p.m. 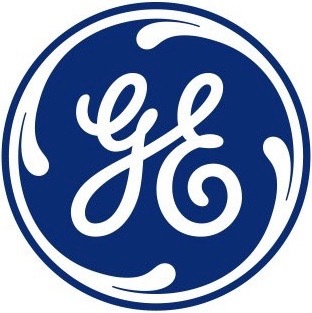 (30 minute limit), and it could produce a maximum 7,200 pounds of thrust (32.027 kilonewtons) at 8,000 r.p.m., with afterburner (5 minute limit). The engine was 16 feet, 3.5 inches (4.966 meters) long, 3 feet, 1.0 inches (0.940 meters) in diameter and weighed 2,830 pounds (1,284 kilograms). The F-89J had a cruise speed of 402 knots (463 miles per hour/745 kilometers per hour) and a maximum speed of 528 knots (608 miles per hour/978 kilometers per hour) at 11,100 feet (3,383 meters). The service ceiling was 43,900 feet (13,381 meters). The interceptor’s combat radius was 435 nautical miles (501 statute miles/806 kilometers), and the maximum ferry range was 1,498 nautical miles (1,724 statute miles/2774 kilometers). The F-89J could be armed with two MB-1 Genie rockets and four Hughes GAR-2A (AIM-4C) Falcon infrared-seeking air-to-air missiles; or two MB-1 Genies and 104 2.75-inch Folding-Fin Aerial Rockets (FFAR). F-89s served with the U.S. Air Force and Air National Guard from 1948 until 1969. 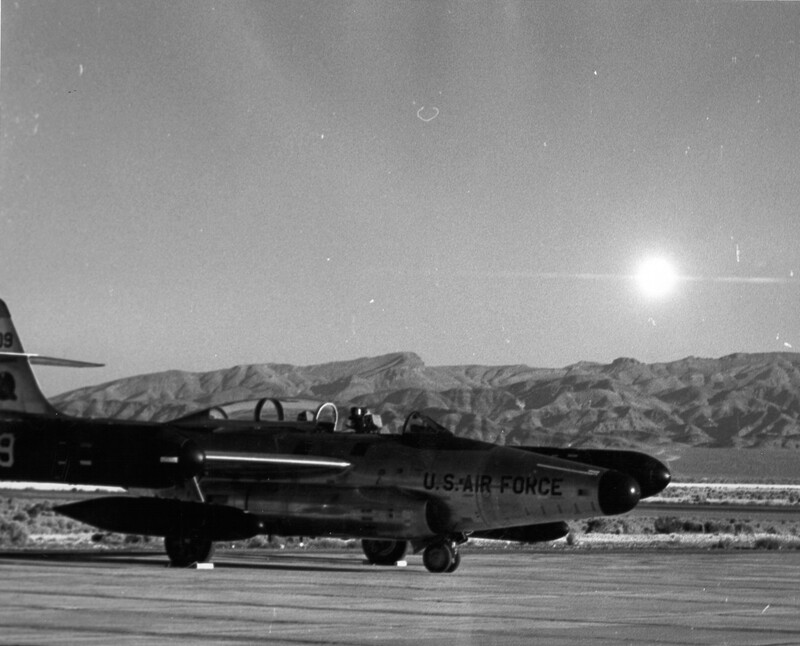 Northrop F-89J Scorpion 53-2547 was transferred to the Montana Air National Guard in 1960. It is on display at the Air National Guard Base, Great Falls, Montana. 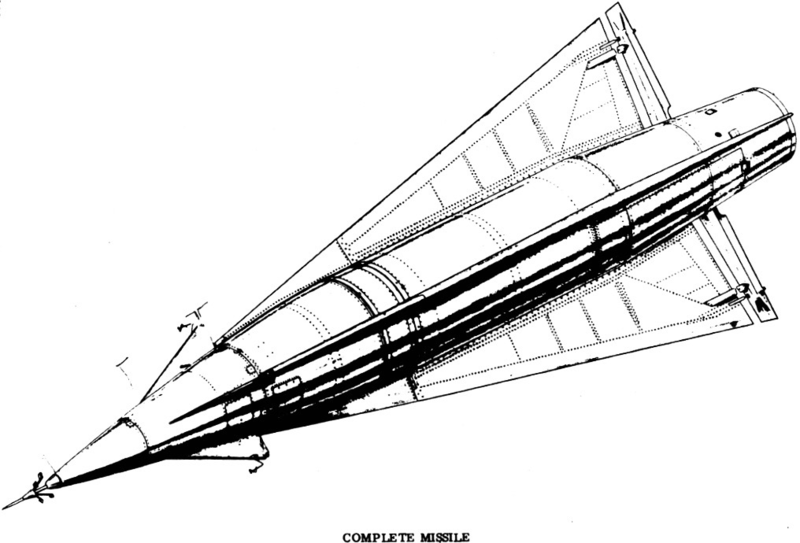 The Douglas Aircraft Company, Missiles and Space Systems Division MB-1 Genie (AIR-2 after June 1963) was an unguided, nuclear-armed, air-to-air anti-aircraft rocket. Its solid-fuel Thiokol SR49-TC-1 engine produced 36,500 pounds of thrust (162.360 kilonewtons) and gave the Genie a maximum speed of Mach 3.3. Its range was 6 miles (9.6 kilometers). The rocket weighed 822 pounds (373 kilograms) with its W-25 warhead, and was 9 feet, 8 inches (2.946 meters) in length, with a maximum diameter of 1 foot, 5.5 inches (0.445 meters). The fins spanned 3 feet, 4 inches (1.118 meters). In production from 1957 to 1962, 3,150 missiles were produced. 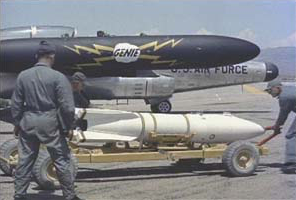 The Genie was in service from 1957 to 1988. The W-25 was a Los Alamos Scientific Laboratory-designed anti-aircraft warhead. It was a fission device, using implosion of both uranium and plutonium. The warhead’s diameter was 17.35 inches, and it was 26.6 inches long. The warhead weighed 221 pounds (100 kilograms). 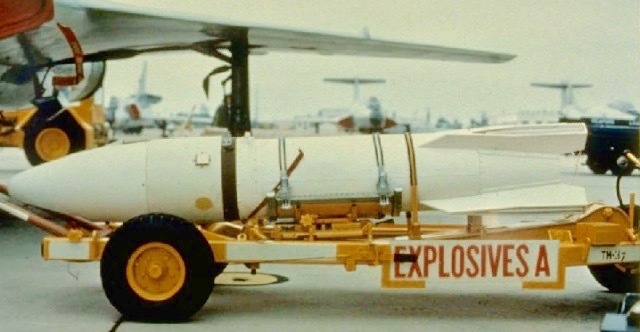 The W-25 was produced from May 1957 to May 1960. All had been retired by December 1984. Detonation was by time delay fuse. Lethal radius of the warhead was estimated to be approximately 1,000 feet (300 meters). 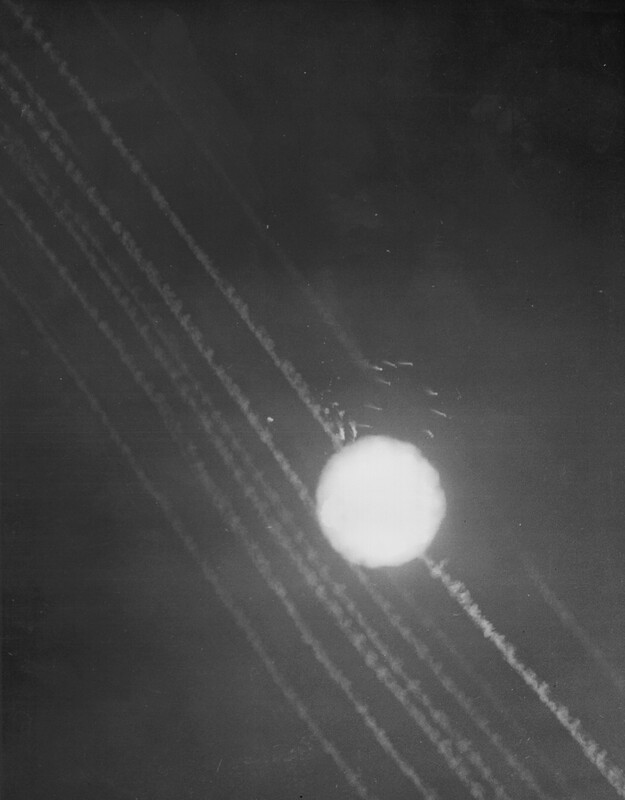 Fireball of Operation Dominic-Fishbowl Starfish Prime, 248 miles (399.1 kilometers) above the Pacific Ocean, 9 July 1962. 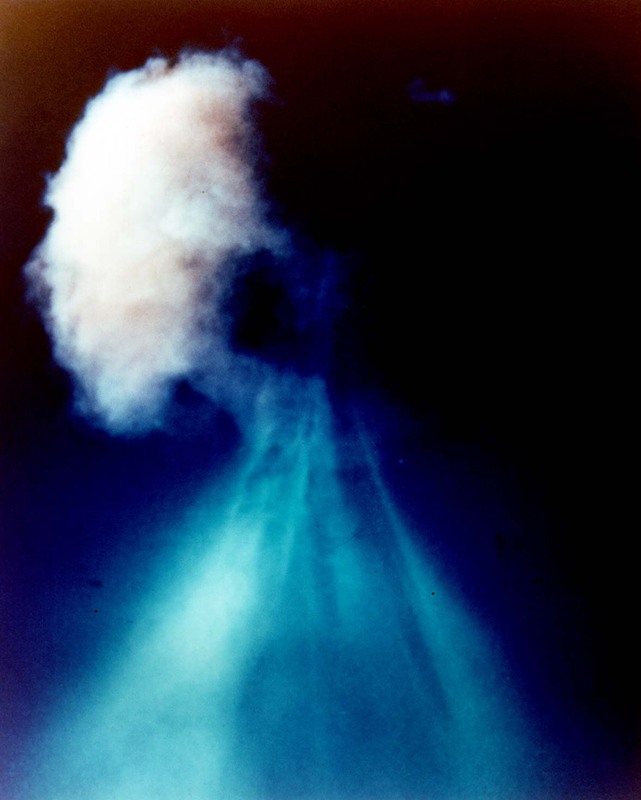 9 July 1962: At 09:00:09 UTC, the United States detonated a thermonuclear warhead over the Pacific Ocean. 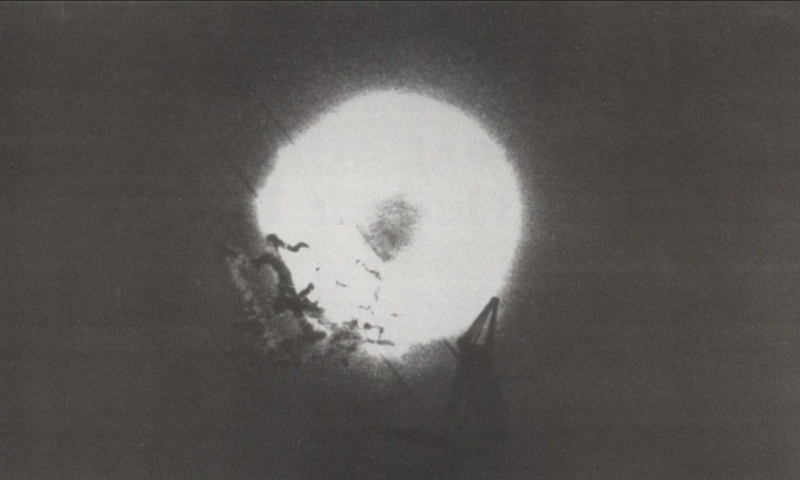 This was part of the Operation Dominic-Fishbowl test series at Johnston Island, and was designated Starfish Prime. At 08:46:28 UTC, a Douglas SM-75 Thor intermediate-range ballistic missile (IRBM) was launched from the Thor missile complex on Johnston Island, carrying a W-49 warhead in an AVCO Corporation Mk-2 reentry vehicle. The Mark 4/W-49 reached a peak altitude of 600 miles (965 kilometers) along a ballistic trajectory then began a descent. 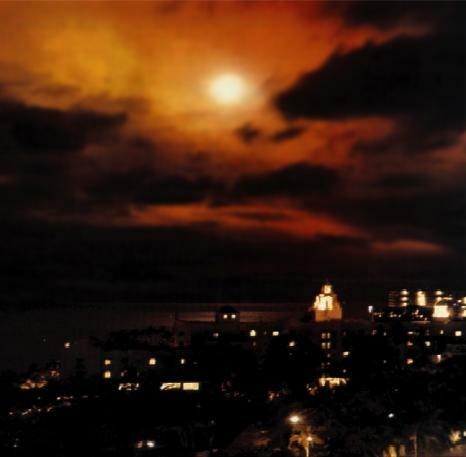 Starfish Prime fireball was visible from Honolulu, Oahu, Hawaii, 898 miles (1,445.2 kilometers) from Ground Zero. 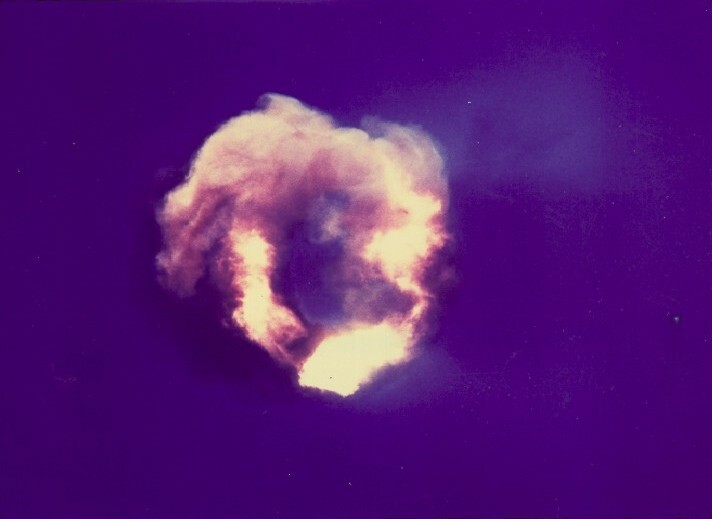 The W-49 detonated 36 kilometers (22 miles) southwest of Johnston Island at an altitude of 400 kilometers (246 miles) with an explosive yield of 1.45 megatons. 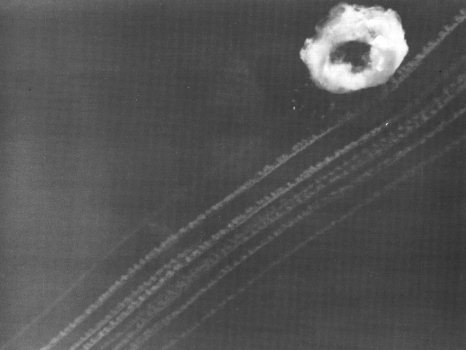 The point of detonation deviated from the planned Air Zero by 1,890 feet (576 meters) to the north, 2,190 feet (668 meters) east, and +617 feet (188 meters) in altitude. 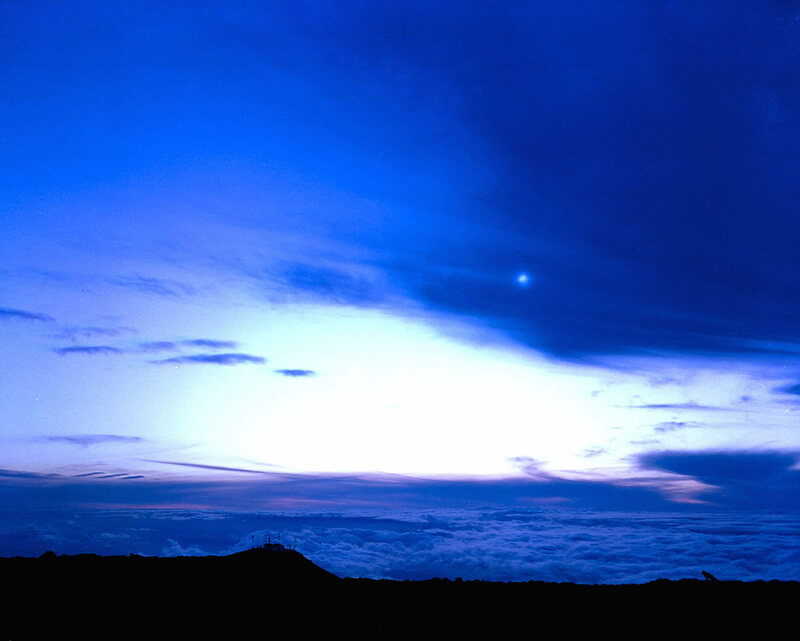 The fireball was clearly visible in the Hawaiian Islands, more than 800 miles (1,288 kilometers) away. The electromagnetic pulse (EMP) damaged electrical systems in The Islands, cutting power, damaging equipment and interrupting telephone systems. Brilliant auroras were visible, lasting about 7 minutes. Telstar, an American communications satellite that was placed in Earth orbit the following day, was also damaged by residual radiation from the detonation. 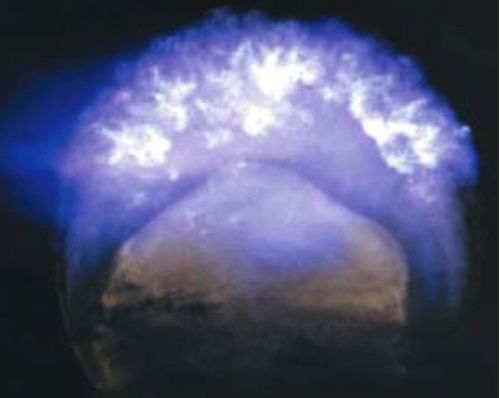 The Starfish Prime experiment was for the purpose of, “Evaluation of missile kill mechanisms produced by a high altitude nuclear detonation.” The electromagnetic effects on communications were also studied. The Douglas Aircraft Company SM-75 Thor (redesignated PGM-17A in 1963) was a single-stage nuclear-armed ballistic missile, 65 feet (19.812 meters) long and 8 feet (2.438 meters) in diameter. It weighed 6,890 pounds (3,125.3 kilograms) empty and 110,000 pounds (49,895.2 kilograms) when fueled. 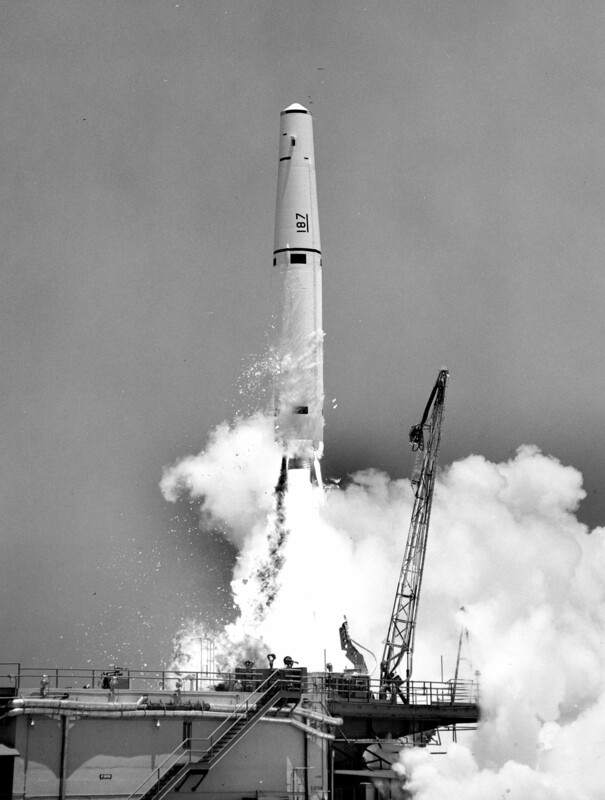 The SM-75 was powered by one Rocketdyne LR79-NA-9 rocket engine which produced 150,000 pounds of thrust. Two Rocketdyne LR101-NA vernier engines of 1,000 pounds thrust, each, provided directional control and thrust adjustments. The Thor was fueled with kerosene and liquid oxygen sufficient for 165 seconds of engine burn time. The Thor could reach a maximum speed of 11,020 miles per hour (17,735 kilometers per hour) and had a maximum range of 1,500 miles (2,414 kilometers). The W-49 thermonuclear warhead was designed by the Los Alamos Scientific Laboratory (LASL) and is believed to be a development of the earlier B-28 two-stage radiation-implosion bomb. It incorporated a 10-kiloton W-34 warhead as a gas-boosted fission primary, and had a one-point-safe safety system. The warhead had a diameter of 1 foot, 8 inches (0.508 meters) and length of 4 feet, 6.3 inches (1.379 meters). It weighed 1,665 pounds (755 kilograms).